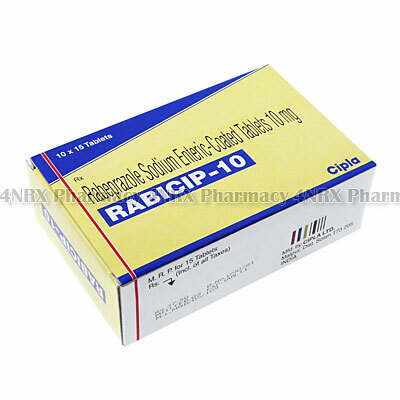 What is Rabicip (Rabeprazole Sodium) used for? 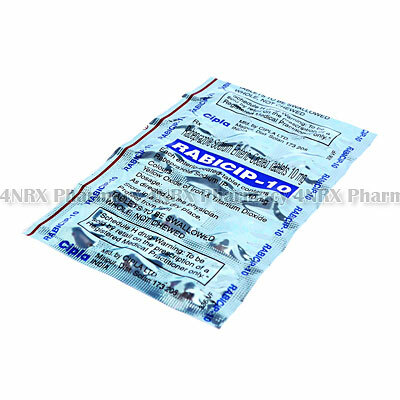 Rabicip (Rabeprazole Sodium) is an oral proton pump inhibitor prescribed to treat patients suffering from conditions caused by excess stomach acid. It operates by reducing stomach acid production to prevent it from moving back into the oesophagus or from damaging the lining of the stomach. This action makes it useful for treating gastro-oesophageal reflux disease (GERD), chronic indigestion, or preventing peptic ulcers. Your doctor may also recommend this medication for the treatment of other unlisted conditions. How should I use Rabicip (Rabeprazole Sodium)? 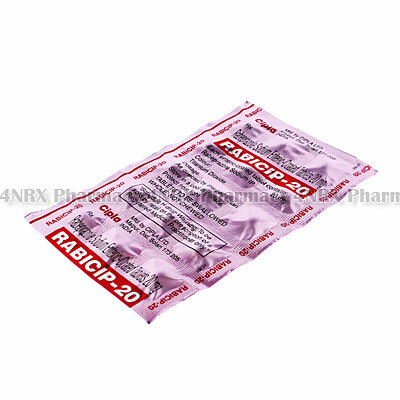 Rabicip (Rabeprazole Sodium) should always be used according to your doctor`s instructions to get the safest and most effective results from treatment. Most patients are prescribed one or two daily dosages of one tablet, but your individual directions will depend on your age, weight, current health, the condition being treated, and the severity of your symptoms. These should be swallowed with a full glass of water and may be taken on an empty stomach, although a snack or meal is suggested before use if you experience nausea. Never alter the form of the tablets by crushing or splitting them prior to use as this may destroy or alter the effects of their contents. What are the side effects of Rabicip (Rabeprazole Sodium)? Stop taking the medication and contact your doctor as soon as possible if any serious side effects occur such as confusion, dizziness, muscle tremors, severe diarrhoea that is bloody or watery, muscle tremors, muscle cramps, coughing, choking sensations, or seizures. These conditions may require reduced dosages, application frequency, or emergency medical attention in serious cases to prevent further health problems from occurring. Rabicip (Rabeprazole Sodium) should not be used by patients who are pregnant, breastfeeding, children, allergic to rabeprazole, or who have had a bad reaction to similar treatments in the past. Also disclose if you have osteoporosis, a vitamin B12 deficiency, decreased liver function, or reduced kidney function as these conditions may cause unexpected complications requiring alterations to your treatment. 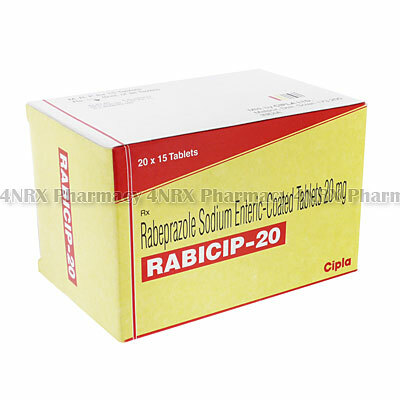 Strictly use Rabicip (Rabeprazole Sodium) as prescribed and follow all instructions provided by your doctor. Safe, suitable, and optimum dosage can vary and is dependent on the patient`s health and medical history, as well as the condition you are treating. Rabicip (Rabeprazole Sodium) may not be safe or suitable for all patients. Always ensure your doctor is informed if you are pregnant or breastfeeding, using any other type of medication (including non-prescription medicine, vitamins, and supplements), as well as if you have any allergies, other illnesses, or pre-existing medication conditions.